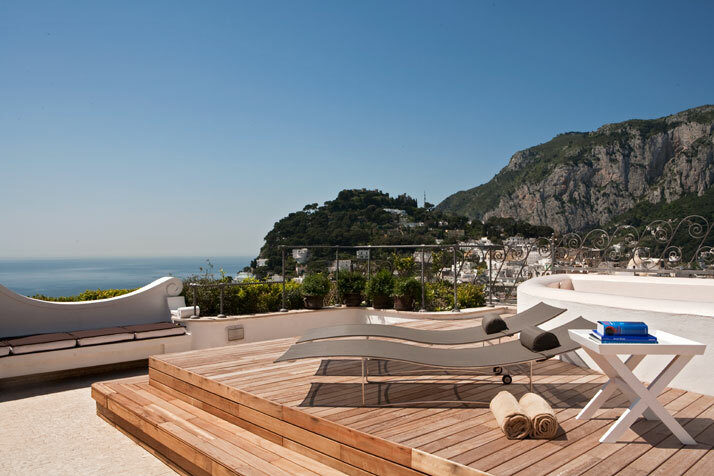 As of April 19th 2012 the island of Capri has added one more reason to its list of attributes as one of the most desired destinations in the Mediterranean. 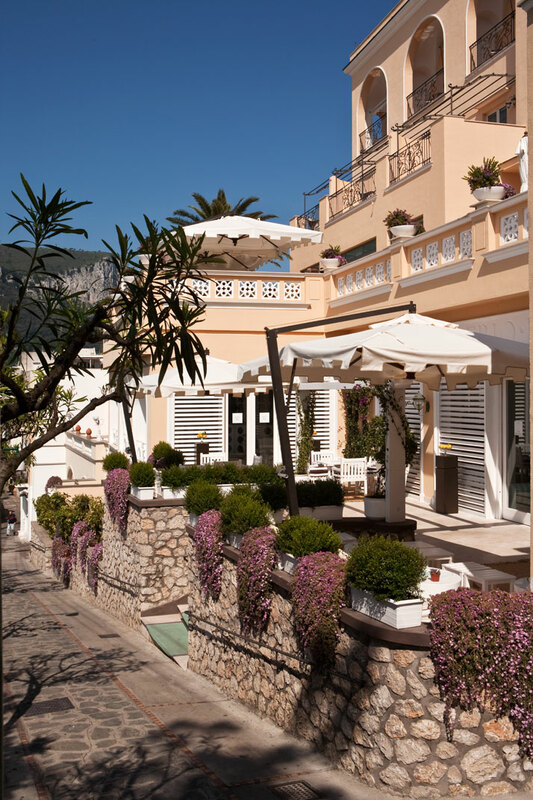 This reason is none other than the re-opening of the Capri Tiberio Palace. 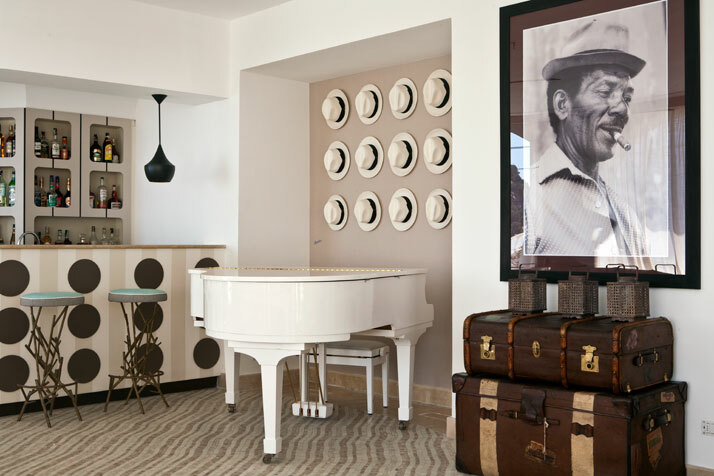 The hotel has undergone a complete ‘restyling’ conceived by the designer Giampiero Panepinto. 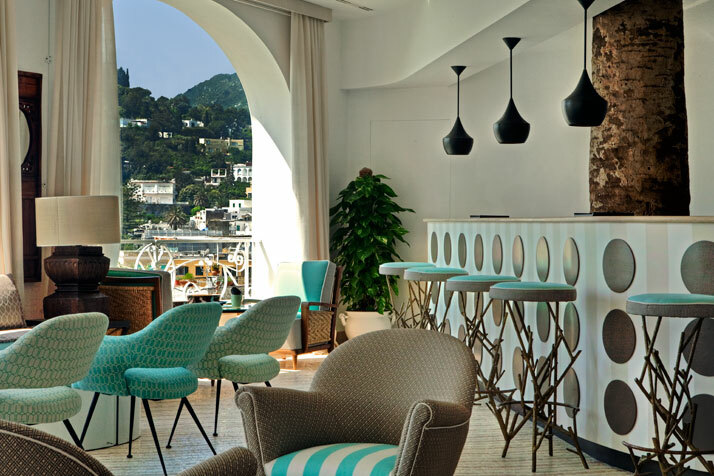 At the Jacky Bar & Terrace, iit is ‘Mad Men’ era all around with glorious settings of Capri at your feet and a sea breeze to refresh your cocktail hour. 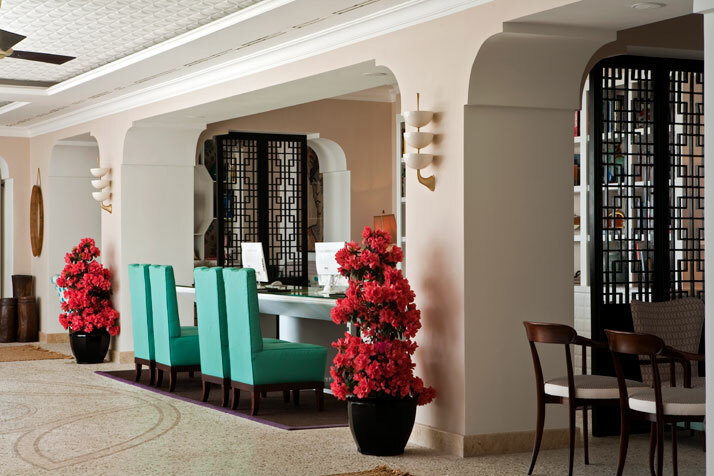 The bar has been designed around the century old palm tree where all seating is directed towards the glorious outdoors. 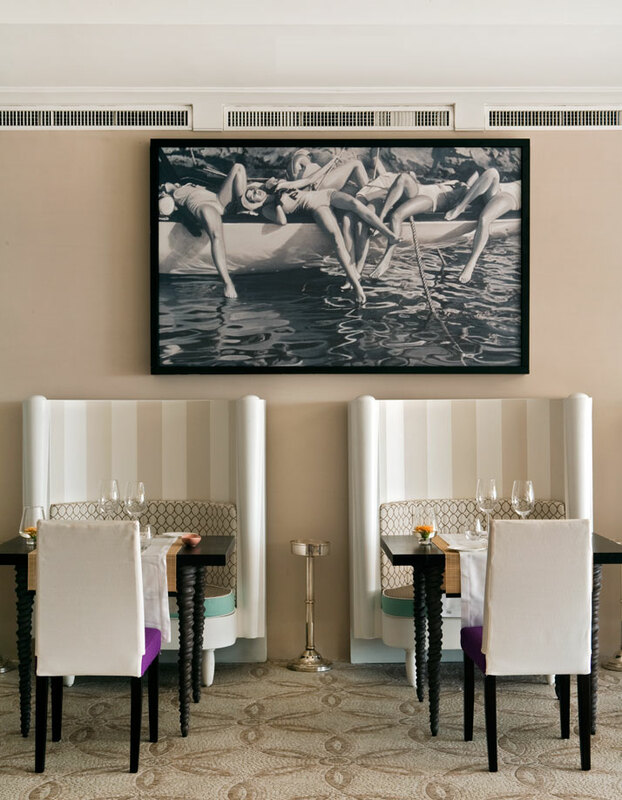 One of the Tiberio’s exclusive features is the signature Taschen Library for the artistically oriented who whilst enjoying the cultural side of life, can also watch the girls go by. 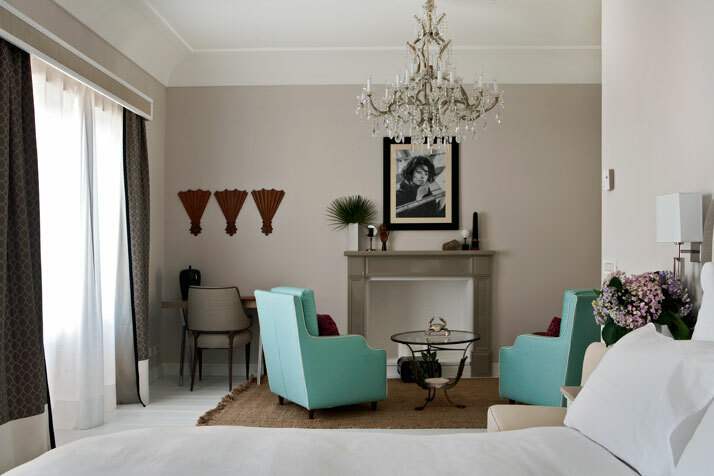 Upstairs the private quarters -all 60 of them – have been designed with the latest design touches that speak of bespoke elegance and refinement. 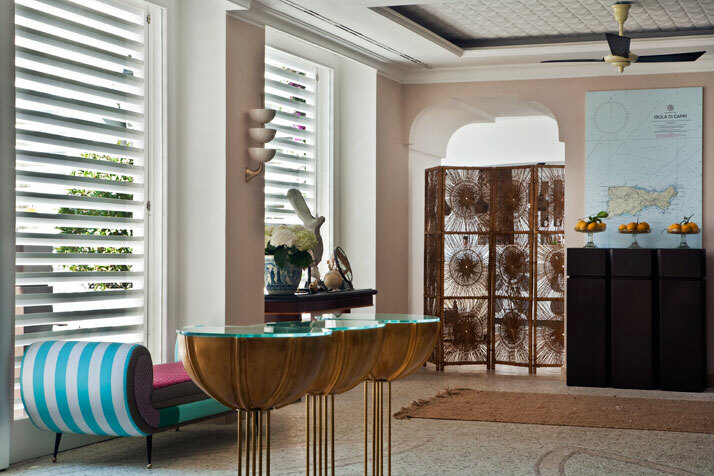 Palettes of delicate powder blue, yellow and a punchy coral red coexist with the nature inspired textiles exclusively designed for the Tiberio Palace by Dedar & Limonta. 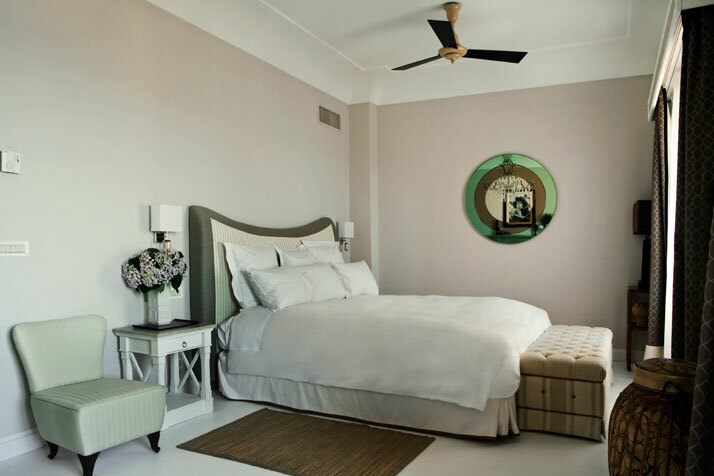 Bedroom floors consist of a skillful mix of polychromatic majolica tiles inlaid into the wooden planks and the bathrooms are finished with full slate travertine decorated with mosaics complete with large bathtubs for glorious moments of relaxation. 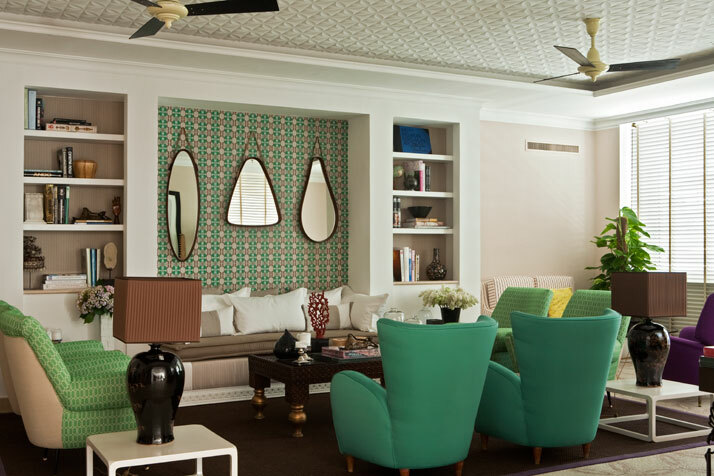 The rooms denote a lifestyle of discretion and elegance and are designed for all who have an inherent love of beauty; travel with LV luggage and have a pure thirst for Veuve Clicquot Ponsardin. Our favourite feature of the hotel is the open air Jacuzzi on the Mojito Terrace with a 360°private ‘belvedere’ over the Mediterranean Sea. Now that is our kind of style for life. The Tiberio Palace is the place to be. 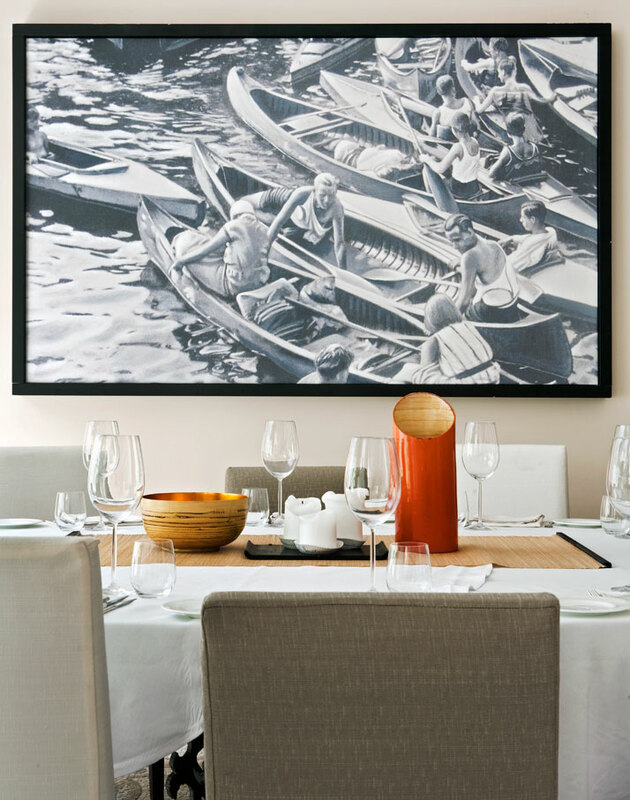 Reminiscent of an age where it was all about the looks, this hotel has it in bounds and the property is booking up fast by those who can’t wait to get a glimpse of this lifestyle. The only thing we can say is welcome back to the life of Capri.